Life onboard pampers and enriches your mind, body and spirit. Relax and enjoy a country club-casual ambiance on an upscale ship. Discover a legendary spa experience aboard Oceania Cruises, in the award-winning Canyon Ranch, a haven of luxury, comfort and warmth. Oceania's staff provides personalized service to every guest. Enjoy the "finest cuisine at sea," orchestrated by legendary Master Chef Jacques Pépin and in multiple open-seating venues. Beautifully appointed with handsome furnishings and fine amenities, Oceania's luxurious suites & staterooms are the ideal place to rest, relax and retire. Onboard enrichment experience includes, hands-on programs, guest lectures, a fully-stocked library, and (on Marina and Riviera) the Bon Appétit Culinary Center. Low Price Guarantee on all Oceania Cruises! Book any Oceania cruise with us and you'll get the best deal possible, regardless of the ship or sail date! Because of our "Low Price Guarantee," nobody beats our Oceania prices, so look around and you're sure to find the best Oceania cruise deal possible when booking with us! BIG SAVINGS: Onboard Credit or Cash Back! Get an Onboard Credit or Cash Back when you book a Oceania cruise with us. The value depends on the particular cruise and accommodations you book. Values are listed on Step 3 of the online booking process. Pre-Paid Gratuities on Oceania Cruises! 2 For 1 Cruise Fares, Unlimited Internet & One FREE Gift! ♦ Free Unlimited Internet per stateroom! ♦ FREE House Select Beverage Package! ♦ FREE Shore Excursions, dependent on voyage length! ♦ FREE Onboard Credit, depending on voyage length and itinerary booked! Olife Choice valid only on new bookings made April 1, 2019 through June 30, 2019 for select voyages departing in 2019 and 2020 only. 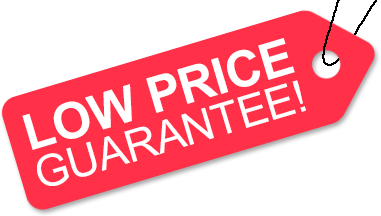 Offer is capacity controlled and may expire at any moment without prior notice. Additional restrictions may also apply. We do not charge booking fees on any cruises! You're sure to enjoy an affordable Oceania cruise when booking with us! Our special offers on Oceania cruises may not be combinable. Certain restrictions apply to each offer. View terms and conditions during the online booking process. The mid-sized ships of Oceania Cruises provide the ideal size to allow for the certain intimacy, warmth and elegance that helps to set them apart from much of their competition. The warm and caring staff onboard each of Oceania's ships is exceptional, showing what it's like to cruise the seas in true luxury. The staff takes great pride in being able to anticipate your requests and cater to your every need. Accommodations available onboard each Oceania cruise ship provide you with a home away from home feeling. All staterooms, many of which are suites, feature soothing colors, soft textures, plush furnishings, and custom-milled French and Italian toiletries, giving you with a great place to relax and recharge. Canyon Ranch SpaClub®, available aboard each Oceania ship, provides guests with a place to indulge their body and soul in a tranquil, almost meditative, atmosphere. Among the many treatments available are their signature Canyon Stone Massage, a Thai Massage, as well as an open-air Thalassotherapy Whirlpool. Guests staying in a Concierge Level or Suite accommodation enjoy FREE unlimited access to a beautifully appointed Spa Terrace. Dining onboard Oceania's ships is run with an open-seating policy, meaning that you have the freedom to dine wherever, whenever, and with whomever you want. Simply request a table when it pleases you, and their staff will see to your wishes. American Discount Cruises & Travel is proud the best deals possible on all Oceania cruises booked with us. Backed by our "Low Price Guarantee," and powered by our team of expert travel agents, we're sure to exceed your expectations when booking your next Oceania cruise. Book your Oceania cruise with us over the phone and get a special price discount! Oceania Cruises boasts that their cuisine is the "finest at sea," and they just might be right! Legendary master chef Jacques Pépin is Oceania's Executive Culinary Director, providing inspiration and guidance to the talented chefs onboard each of Oceania's cruise ships. Menus reflect the regions each ship sails in, featuring fresh ingredients. Their amazing food combines with their relaxed open-seating restaurants to result in a wonderful dining experience. Daily, at four o'clock in the afternoon, is when Oceania hosts a wonderful afternoon tea event onboard each of their ships. As a classical string quartet plays softly in the background, the stage is set for Oceania's staff to display their pastry chefs' talents. It's a great time to just sit back and relax. The Culinary Center aboard Marina and Riviera are the first hands-on cooking schools at sea. Guests have the opportunity to learn how to prepare a variety of exquisite dishes at their own fully equipped workstation in a state-of-the-art teaching kitchen, under the guidance of master chefs from around the world. Oceania Cruises wants their guests to feel right at home while cruising with them. To help ensure this, Oceania has a country club casual dress code onboard their ships, rather than the more formal approach that some of their competitors take. Tuxedos and gowns are never required! Being able to be yourself allows for a refreshingly casual and friendly onboard atmosphere, further enhancing your overall experience on an Oceania cruise. There is a fabulous enrichment program available onboard each of the ships in the Oceania Cruises fleet. The esteemed and often-famous guest lecturers provide inside knowledge through personal insights, historic outlooks, and vast expertise regarding the beautiful ports of call being visiting on each cruise. Besides their lecturers, there is also a vast English-style library onboard each Oceania ship, as well as Oceania Currents (their shipboard daily that highlights your next port of call). In December 2016, Oceania Cruises announced it had received approval to begin sailing to Cuba in March 2017. Oceania Marina will be the first ship in the fleet to sail to Cuba, embarking on itineraries that include stops in Havana. Oceania Insignia will also feature Havana as a port of call on select voyages departing November 2017 through December 2017. Oceania Cruises, and sister company Regent Seven Seas Cruises, were acquired by Norwegian Cruise Line Holdings Ltd. in November of 2014. Shortly thereafter, Oceania entered into an agreement with Princess Cruises to purchase the ship Ocean Princess. Planned to be renamed Sirena, the 684-passenger ship will be added to the Oceania fleet. Prior to its acquisition by Princess Cruises, the ship was formerly the R-4, sailing in the (now defunct) Renaissance Cruises fleet - making the vessel a sister ship to Oceania's Regatta, Nautica, and Insignia, all of which are former R-class ships. In March 2016, Sirena will undergo a 35-day, $40 million refurbishment, elevating the ship to the standards expected of a Oceania Cruises vessel. Voyages aboard Sirena start with April 2016 departures. In 2014, Oceania went through a massive $50 million fleet update. This update comprised of refurbishments of Regatta, Insignia, and Nautica. All staterooms received a face lift with new decor and fresh styling. Among the public areas to get a touch-up were Terrace Cafe, all Main Lounges, Martinis, Canyon Ranch Spa Club, and the Sports and Pool Decks. A brand new Baristas coffee bar was also be added to all three ships. A sister ship to the 66,084-ton Oceania Marina, Oceania Riviera, debuted in April of 2012. These two 1,258-guest Oceania Class ships are the largest ships in Oceania's fleet (in comparison to the 30,277-tons ships). Each Oceania Class ship has six open seating restaurants, as well as a variety of luxurious suites. Click a price below to view the Oceania cruises available during that month in that destination.